?Perfect design keeps the needles and accessories visible. Well organized case. Keep everything in one place. ?Lifesave. 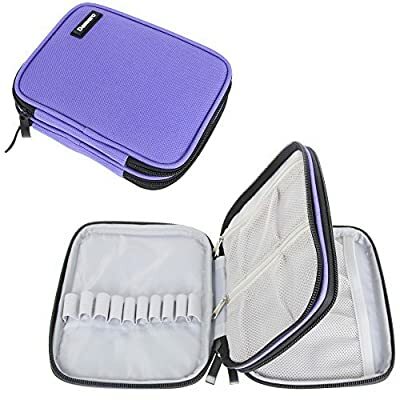 Perfect case fits your all various sizes of crochet needles. Net pocket for your crochet accessories. ?It is convenient for you to keep track of everything you need to crochet, you will no longer worry about losing anything again. ?When opened, you will find what you want clearly. 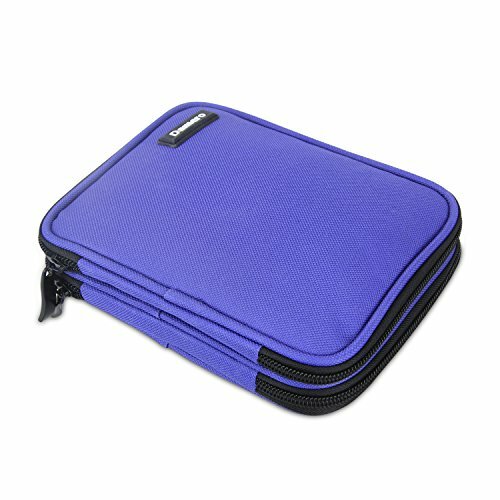 With this lightweight and compact case at hand, no matter when and where, JUST DO IT! ?Color option: Black, Dark Blue, Purple, Red, Gray Dot. As far, the Purple and Gray Dot are on best sale. ?The first one has ten elastic loops for rubber handle crochet hooks or bamboo hooks, 2 zipper web pocket to organizer your crochet accessories, like measuring tape, stitch markers, and blunt yarn needles. ?The second compartment come with 12 elastic slots (4 large, 8 small) and single mesh pocket with an elastic top. A flap to prevent the crochet needles falling out. ?Please choose crochet hook kit and organizer case for crochet needles and accessories from Damai. Otherwise, maybe you will receive different goods. WELL MADE: Patent pending. Made of nice quality Nylon material. Soft and durable. 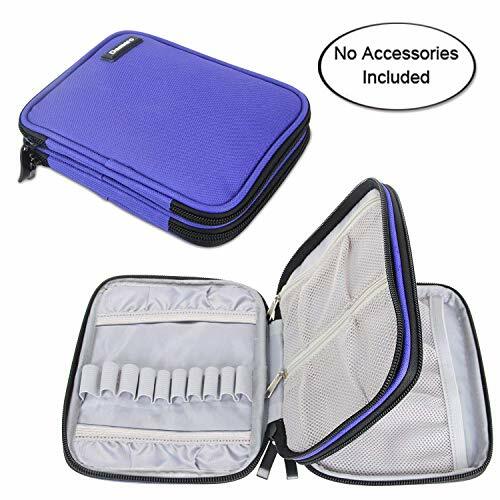 Neat, sturdy zipper closure ensure your item secure, and can let the case open up all the way flat. The double layer design to store your more crochet tools. EXCELLENT PROTECTION: Well padded semi-flexible covers offer excellent protection for your crochet hooks and accessories. Individual elastic loops to organizer your crochet needles better. COMPACT AND ORGANIZED: Well organized case. 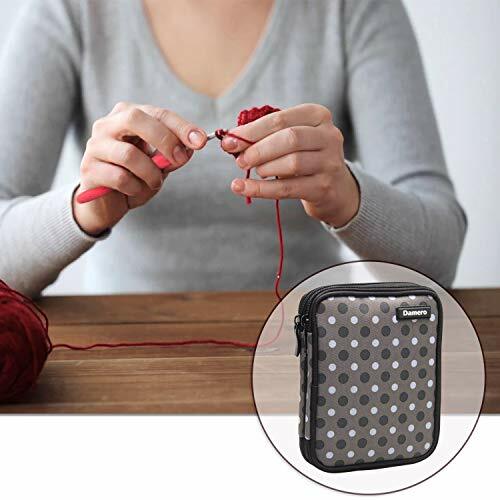 You can store everything you need to crochet in this small case, no longer worry about losing anything again and have the tools to take on any project. WELL CONSTRUCTION: Double layer Nylon interior compartment. Box design will not take up too much space, you can put it into your backpack or purse. Perfect for travel or crocheting everywhere, like the airport, a park, home or work. It also work well as a travel case for sketching and watercolor. 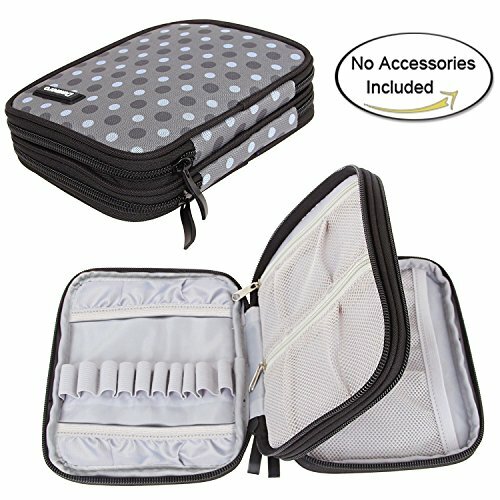 PERFECT ORGANIZER :This is the organizer pouch special for crochet hook set, one of the best case on amazon. Most versatile organization system designed to hold items firmly in place, Endless configurations Perfect companion for your bag.